Michael has been involved in EMS for 12 years. He became an EMT in 2002 and obtained Paramedic certification in 2006. He has worked in private ambulance, air ambulance and is currently working as a firefighter paramedic. He has a Bachelors of Science in Biology and a Bachelors of Arts in Psychology. He is currently seeking a Masters in Biomedical Science. 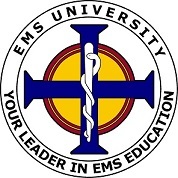 He had been teaching with EMS University, LLC since 2012 and has been the program manager since 2013. He has a passion for education and enjoys building the future of EMS professionals.